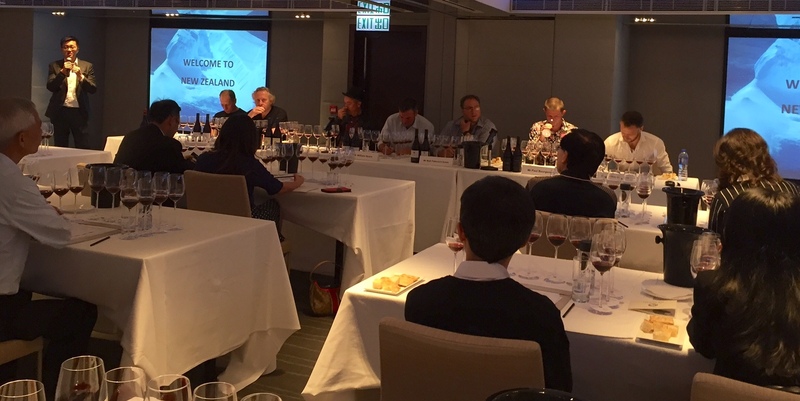 As part of the Watson’s Wine Grand Tasting Week a masterclass with seven key Pinot Noir producers was held at The Mira in Hong Kong. On offer was a selection of 12 wines covering the main Pinot Noir producing regions spanning from Central Otago in the South Island through to Martinborough in the North Island. The tasting wines were ordered according to region, north to south, and the tasting successfully demonstrated general regional themes. For example, the wines from Central Otago showed sweet black fruit with a persistent perfume, which contrasted nicely with the savoury spice and dried herbs notes of Martinborough. Much discussion was had around the impact of soil type in each region and the role sunshine plays in shaping viticulture in New Zealand, especially with respect to the intensity of the sun, which is due to a hole in the ozone layer above the country. A key point of conversation amongst the panel was the evolution of Pinot Noir production in New Zealand and the availability of vines that now have some age to them. Winemakers are growing in confidence not only with the land they are working on but with their skills and ability to delivery a quality wine, or as Rudi Bauer from Quartz Reef put it “Pinot Noir is the boss in the vineyard and our job is to make sure it gets into the glass in the best possible manner”. Evolution should also play a central role in understanding what New Zealand Pinot Noir has to offer according to Monty James of Craggy Range, who summed it up perfectly; “What New Zealand and the New World has to offer is completely different to Burgundy .. you can join us on the story of the evolution as it unfolds”. The collective experience of those on the panel afforded many a reflection on the journey made from the beginning of Pinot Noir in this relatively young wine producing country to the lessons learned, successes shared and the road ahead. The future for New Zealand Pinot Noir is an exciting one with the quality of wine and the confidence of its producers continuing to grow – and it is early days yet. The oldest wine in the tasting, the Pegasus Bay 2006, opened beautifully in the glass to reveal attractive complexity and confirm the ageing potential of Pinot Noir from New Zealand. One can only imagine what delights are in store for the future! Love NZ Pinot! Central Otago has so much to offer. Enjoyed the piece, thanks for sharing! Couldn’t agree more – Central is a place I spend quite a bit of time but I have to say I was really impressed with the Marlborough Pinots – they showed really well and are definitely worth a look if you get a chance, especially the Jackson Estate which I had never tried before. 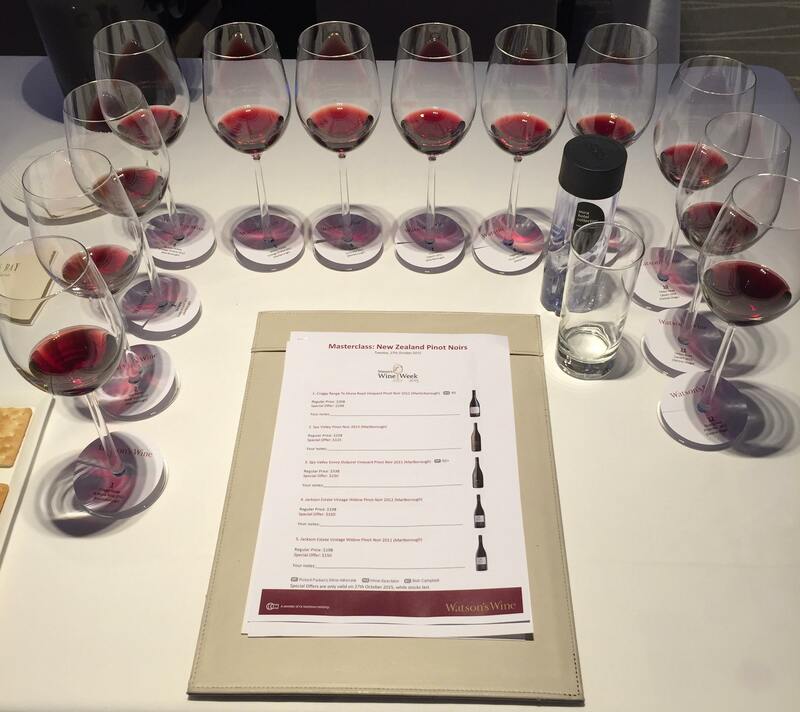 ← A closer look at the Wine in China Conference 2015 with Debra Meiburg M.W.